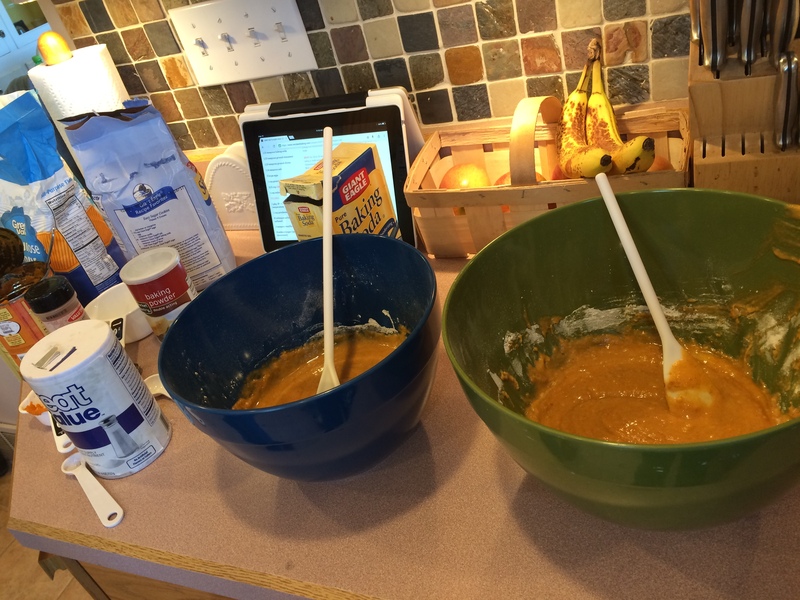 Every year, my sister and I make pumpkin rolls for the family as gifts for Thanksgiving and Christmas. We have such fun making them (all 8 of them) but it can be quite a chore! These are way better than the ones you buy at the store, but if you are like us and are making a lot of them, be sure to allocate an entire day! 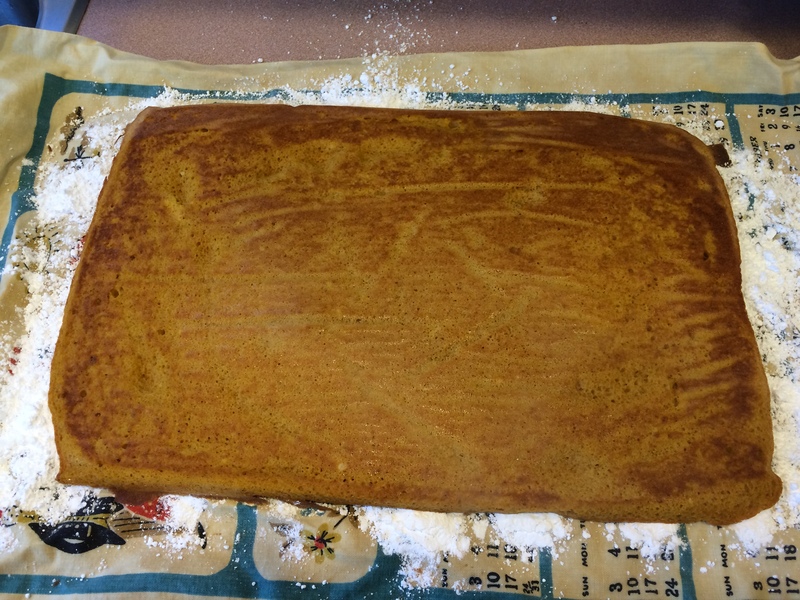 Clear your calendars, because it is time to make some pumpkin rolls! First, you want to preheat your oven to 375 F and pull out your cookie sheet (with rims, if it is flat it will all pour off!). 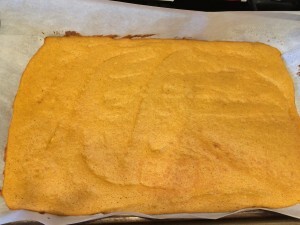 Take a piece of parchment paper and spray it with some Pam. 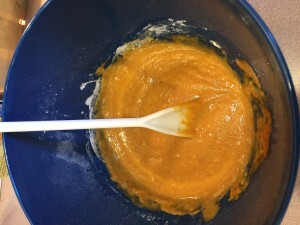 Next, mix the baking soda, baking powder, flour, salt, and cinnamon in a bowl. Add in eggs and sugar and finally the pumpkin and mix well! 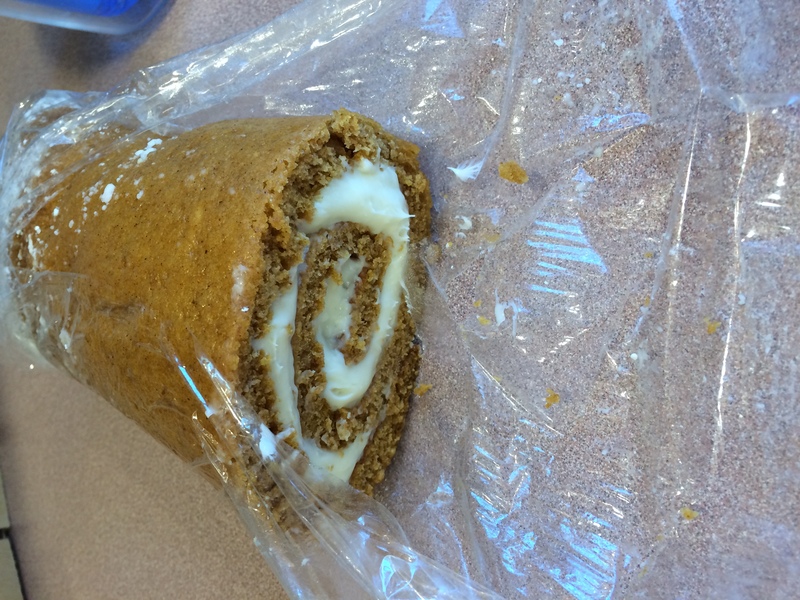 PS – If you buy the large can of pumpkin, you can make 4 pumpkin rolls from it!!! 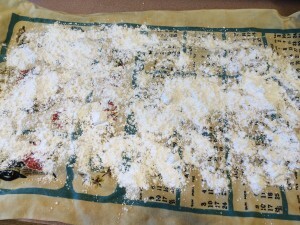 Pour the mixture on the parchment paper and bake in the over for 13-15 minutes. You want to make sure the roll is springy and that the edges are just slightly dark. 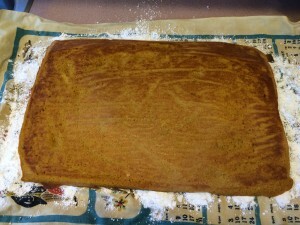 While it is baking, take a baking towel (non-fuzzy one) and dust it with 1/4 cup of powdered sugar. 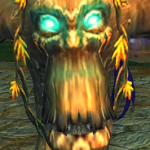 Now comes the tricky part. 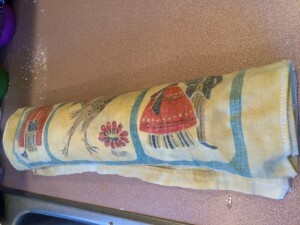 You need to flip the roll onto the towel without it falling on the floor (it slides off the parchment easily) or the parchment breaking and causing you to be out a roll, or using a roll that fell on the clean floor…5 second rule right? 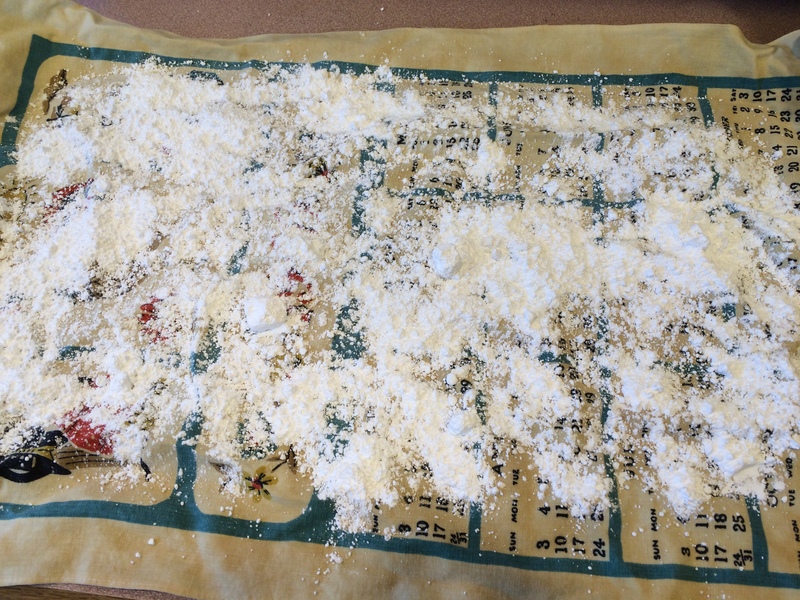 While the roll is cooling, you can make the filling. If you left the cream cheese on the oven, it should be super soft and that makes life way easier. 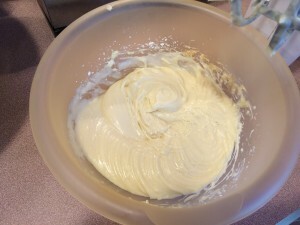 Take it and place it in the bowl with butter, powdered sugar, and vanilla and then use a mixer to make it smooth. Once the roll is cool, unroll it and place the filling inside. 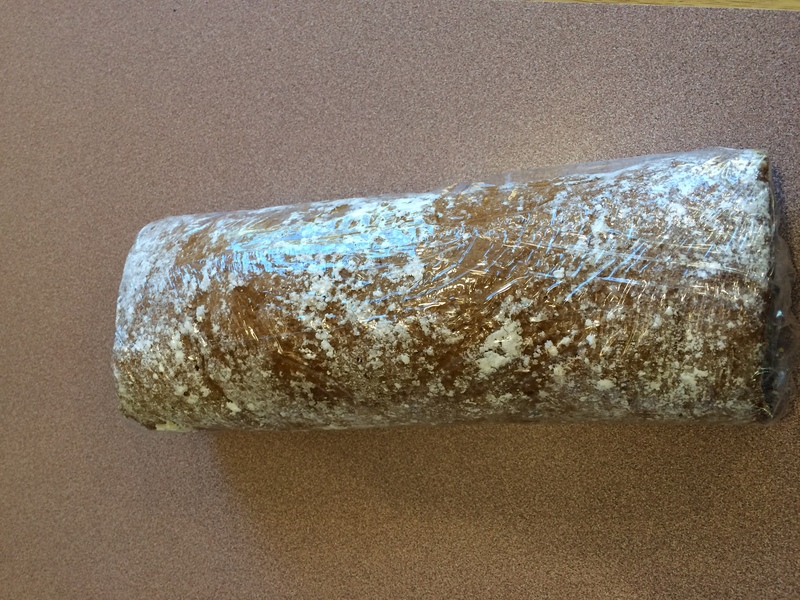 Roll it back up and wrap it in plastic wrap. Make sure to place it in the fridge. You can also put some more powdered sugar on it before you serve it! My family and friends LOVE these rolls and they make great gifts for the holiday season!